The Big News in Military Disability: Military Sexual Trauma Awareness Grows—Changes Coming? Military Sexual Trauma Awareness Grows—Changes Coming? Military Sexual Trauma (MST) is defined as the sexual assault or repeated sexual harassment of an individual while serving in the military. A variety of conditions, including mental disorders, have been linked to Military Sexual Trauma. Some of these conditions develop immediately, but some show up years after the trauma occurs. It is estimated that 86% of Military Sexual Trauma cases go unreported due to the fear of negative repercussions like ridicule, pity, isolation, and prejudice. However, growing awareness of the problem is making it easier and less stressful for victims to get help. 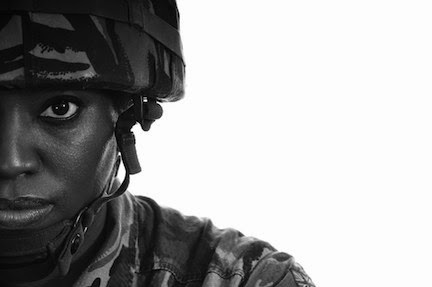 Contrary to what you might hear, VA disability benefits can be given to individuals who have experienced Military Sexual Trauma (see our blog on Military Sexual Trauma for more details). Additionally, treatment for conditions related to Military Sexual Trauma is available through the VA, and the requirements to qualify to receive it are much less strict than they are for all other conditions. The following are additional exceptions that allow victims of Military Sexual Trauma to receive the treatment they need. Veterans who are not eligible for other VA services may be eligible, perhaps even those with dishonorable discharges (this is decided on a case-by-case basis). The incident(s) do not have to have been reported. There are no standard eligibility requirements for treatment, such as income, length of service, etc. The condition for which a victim of Military Sexual Trauma needs care does not have to be service-connected in order for them to receive treatment. The VA health care reform bills passed by the House and Senate that we reported on last week may offer additional relief to those suffering from Military Sexual Trauma-related conditions. The Senate bill includes changes that would expand eligibility for Military Sexual Trauma counseling and treatment to Reservists on inactive duty training (authorized training by a Reservist not on active duty). The Senate bill also calls for the transition of all Military Sexual Trauma treatment from the DoD to the VA. The veteran would still receive any DoD medical care that he qualifies for, but the treatment for his Military Sexual Trauma would be taken over by the VA.